Last year I discovered the Singing Christmas Tree in Portland, Oregon, but at that time I didn’t realize what a global tradition it is! 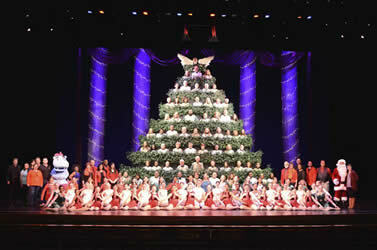 Every year folks all around the world are performing holiday shows that include a singing Christmas tree. I’m amazed at all the talented people who build the sets and the many others who sing, dance, and play instruments. Below are a few hand-picked shows that you can enjoy across North America. If you live near Augusta, GA, clear your schedule next weekend, because the Singing Christmas Tree at Abilene Baptist Church is performing for just 3 days. With a full orchestra, an original drama sequence, and over 85 singers, you won’t want to miss it! To get a taste of what you’ll see, check out this clip from last year’s show. Admission: Free! But make sure you get your tickets in advance from the main church office. For the 62nd year in a row, the Singing Christmas Tree in Charlotte, NC is entertaining audiences. This event will include a variety of talent such as puppetry, dance, and—of course—music! 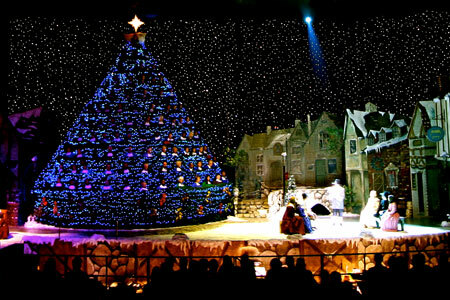 In addition to the regular performances, the Singing Christmas Tree is also putting on 2 abbreviated shows for kids. So whether young or old, everyone will be filled with joyful spirit. 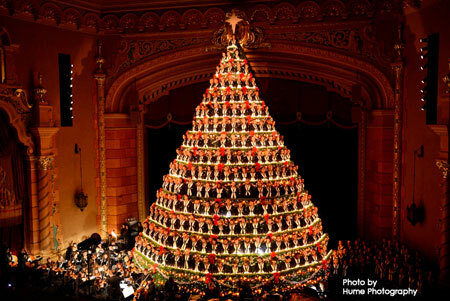 The Singing Christmas Tree in Jackson, MS boasts as being the longest running singing tree in America! The first performance at Belhaven University was held in 1933, which makes this year the tree’s 84th anniversary. If you want to see the tallest Singing Christmas Tree in America, then you need to visit Muskegon, MI. This gigantic tree stands a towering 67 feet tall! 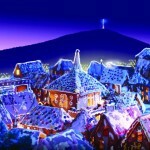 It can hold 240 singers and is decorated with 25,000 lights. Unfortunately this performance is completely sold out for this year, but mark your calendars for next year so you can get your tickets early. In the meantime, enjoy this video from a previous year that includes footage of the tree being built. 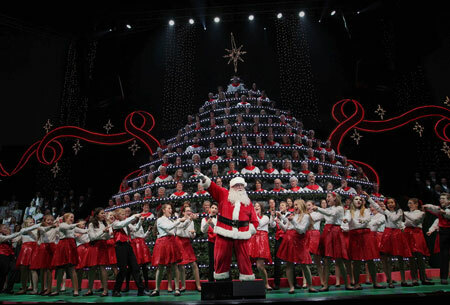 Folks in the Pacific Northwest can kick off the Christmas season at a performance of Portland’s Singing Christmas Tree. This musical production will delight audiences with two hours of traditional and contemporary music. 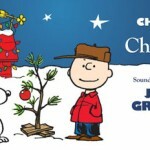 A live orchestra, 350+ singers, dancers, and actors bring the spirit of Christmas to life! For 60 years, the Singing Christmas Tree has been performing in Sacramento, and this year they are going all out to celebrate their anniversary. In addition to the choir, there will also be a 40-piece orchestra, dancers, actors, and soloists. The Vancouver Singing Christmas Tree is such a beloved Christmas tradition that all their tickets are sold out. But if you haven’t already secured a ticket, don’t fret because you can still try to grab a seat. Get there early and wait in the “non-ticket holders” line. Thirty minutes before each show, they’ll start letting folks in until the auditorium is full. To get updates, follow their Facebook page.